The version was used in Commodore's "Amiga Dealer" demo. The version used in Rob Peck's "Amiga Companion" book. This image was shown in the "Education" part. Interestingly there was also a version of this image that was used for the "Amiga Companion" book by Rob Peck. 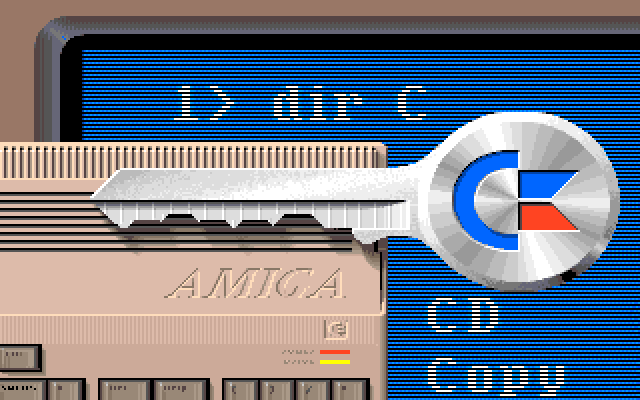 The biggest difference between the two was the peacock on the key, that was replaced by the Amiga rainbow check logo. 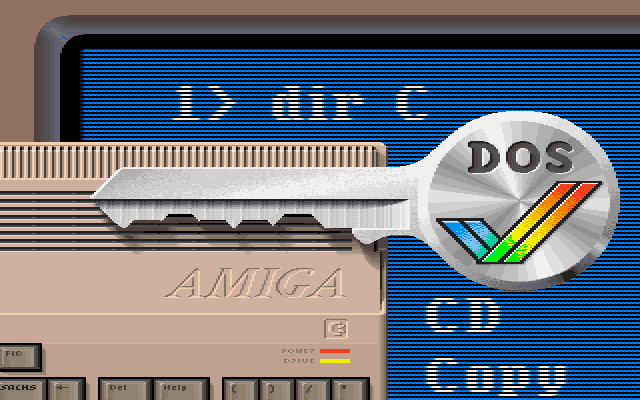 The Amiga Companion version is lowres-interlaced, which leads me to think that it was created first and the Amiga Demo version was downscaled to fit with the other images.